Follow these steps to ensure that all Notices of Departure and Notices of Arrival are complete. 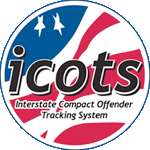 ICOTS determines whether the offender is in the Sending or Receiving State by the Notice of Departures and Arrivals. Completing these activities is critical to tracking the whereabouts of an offender and correctly assigning the supervising user.